If you’re taking on any last-minute holiday painting projects, here’s a primer on… primer. While it’s important to prep and prime all new and unfinished surfaces before you paint, you can tell whether a previously painted surface needs priming by using the sprinkle test. If water droplets bead up and aren’t absorbed, the surface is still sealed and you probably don’t need to prime. To get the best color performance from your paint, use a tinted primer first. Usually available in three shades, gray-tinted primer produces deeper results with fewer coats than you’d get with white primer or primer tinted to the base color. Gray-tinted primer is great under deep, bold colors like navy blue and red because it ensures coverage and improves hide with fewer coats. 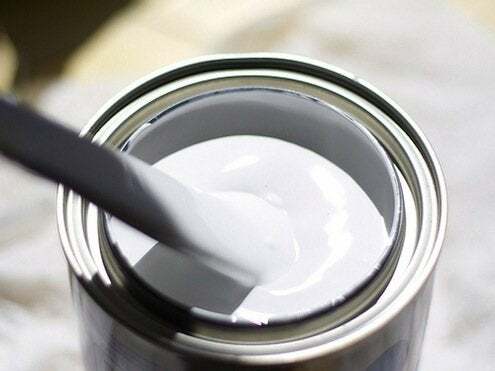 Primer generally costs less per gallon than paint, so you can save some money by going a little grey before you paint the town!